Eating certain foods can trigger gas, distension, bloating, cramping, diarrhoea or constipation. Mahan et al describe these reactions as Irritable Bowel Symptoms (IBS). This can be very uncomfortable for the individual, embarrassing and frustrating. Fear not, there is an explanation as to what is causing your stomach such grief and having an impact on your quality of life. The answer is FODMAPs. FODMAP is an acronym that stands for Fermentable, Oligo-Di-Mono-saccharides and Polyols. These can be classed as carbohydrates (sugars) and are categorised based on the length of their chains. FODMAPs are short chains. It is important to note that not all carbohydrates are FODMAPs. 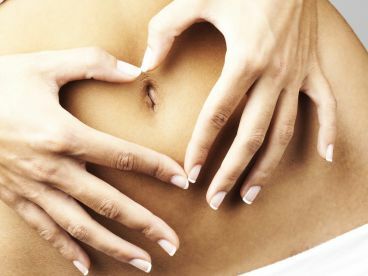 It is suggested that food that contains the FODMAP chains will have an impact on IBS. These short chain carbohydrates are not absorbed adequately in the small intestine and cause fermentation in the gut – giving you IBS symptoms. Therefore, it is recommended to reduce consumption of foods that trigger these nasty effects. Keeping a food diary will help allow you to monitor that wild digestive system and how it responds to different foods. Frutans (oligosaccharides): wheat, onion, garlic. Polyols: these are your alcohol sweeteners (xylitol) and some stone fruits like avocado’s, apricots, peaches and plums. Foods that are recommended include: meats (no processed), if diagnosed as lactose intolerant – lactose free dairy, almond milk, nut butters, nuts, seeds. Fruits include bananas, berries, oranges, kiwi’s. Vegetables include bell peppers, bak choy, tomatoes and zucchini. Please click here to read a more extensive list of foods: Low FODMAP Food Choices. It is also recommended reducing gluten (wheat based products) as this may hinder gut function. One study found that participant’s gastrointestinal symptoms improved significantly when FODMAP consumption was reduced. This could mean that gluten may not be a specific trigger in some cases.Gluten free grains include: quinoa (keen-wah), basmati rice, sweet potato. Keep a food diary. This will allow you track responses to food intake. Learn how to read food labels e.g. avoid products containing High Fructose Corn Syrup (HFCS). Learn correct portion sizes. I like to use cup measurements. Stay away from foods that increase gas/bloating. Aim to consume between 1.5 – 2 litres water per day. Probiotics and Prebiotics can help with symptoms – kefir or natural unsweetened yogurt. It is important to note that this not a cure but a suggested nutritional regime that could have the potential to alleviate digestive disorders and improve gut function. To date the safety of long term FODMAP restriction has not been documented and like all restrictive dietary approaches may have a potential risk of macro/micro nutrient deficiencies. Mahan LK, Escott-Stump S, Raymond JL. Krause’s Food and the Nutrition Care Process. 12th Edition. St, Louis, MO: Elsevier/Saunders; 2012. Barrett JS, Gibson PR. Fermentable Oligosacchardies, Disaccharides, Monosaccharides and Polyols (FODMAPs) and Non-Allergic Food Intolerance: FODMAPs or Food Chemicals? Therap Asv Gastroenteral. 2012;5(4):261-268. Biesiekierski JR, Peters SL, Newnham ED, Rosella O, Muir JG, Gibson PR. No Effects of Gluten in Patients With Self-Reported Non-Celiac Gluten Sensitivity After Dietary Reduction of Fermentable Poorly Absorbed Short Chain Carbohydrates. Department of Gastroenterology 2013; 145:320-328. I would like to find out where do I start or to get information on going Gluten Free. I have an autoimmune disease and have been told to cut out all gluten. Where would I get recipes to make a bread and like crackers that is not too bad to get use. I know I have to cut out Wheat, Rye Oats and Barely. This is going to be difficult as all the shop bought goodies have this in. Will have to start to make and bake from scratch but will have to freeze like the breads as I am also trying to shed about 8 kg’s. I love 100% rye bread but will have to cut this out too. Any advice or websites I can go into to read up and get recipes.